North Korea Reacts To Trump's "Fire And Fury" Threat By Threatening Preemptive Missile Strike On Guam - Joe.My.God. In another statement citing a different military spokesman, North Korea also said it could carry out a pre-emptive operation if the United States showed signs of provocation. Earlier Pyongyang said it was ready to give Washington a “severe lesson” with its strategic nuclear force in response to any U.S. military action. 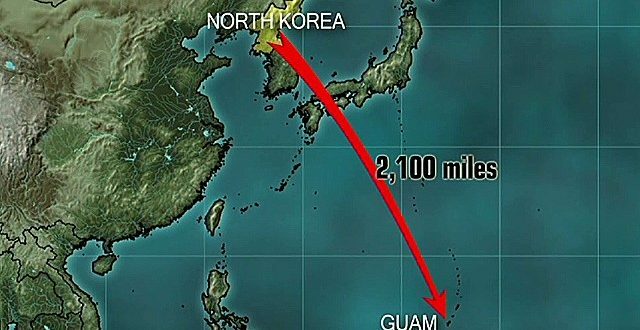 Two major US military bases operate on Guam and take up about one-third of the territory’s land.